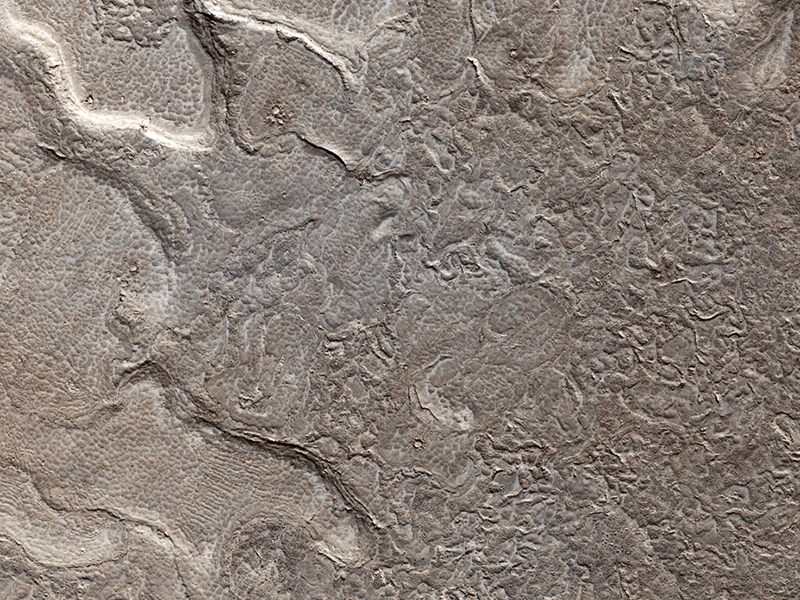 This image shows remarkably young lava flows in Elysium Planitia. 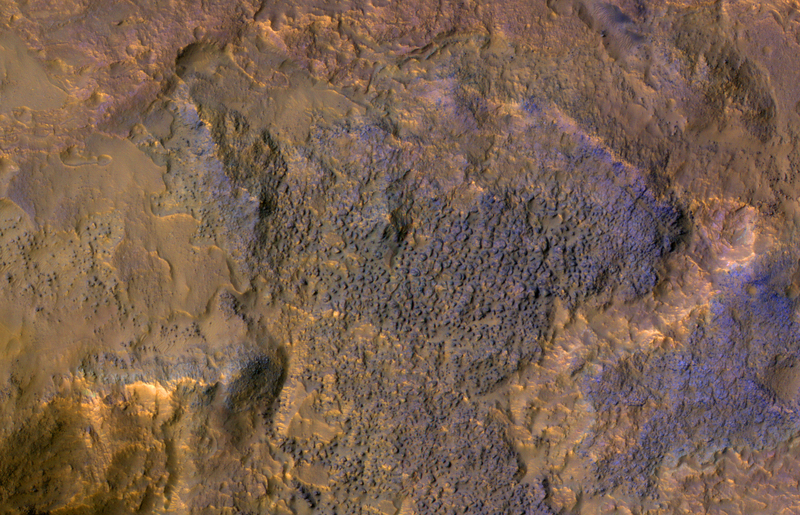 There are almost no impact craters over this flow, indicating that it is probably only a few million years old—practically an infant in geologic time. 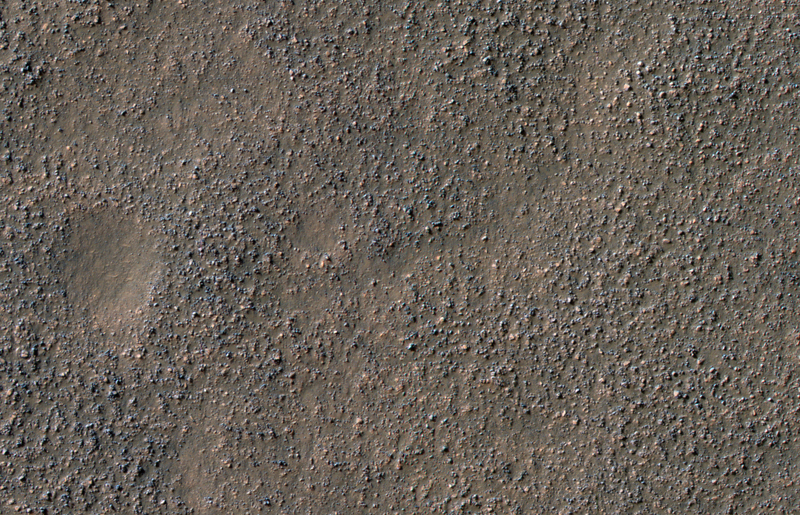 Sometimes we see a field of boulders rather than bedrock, as in this image. 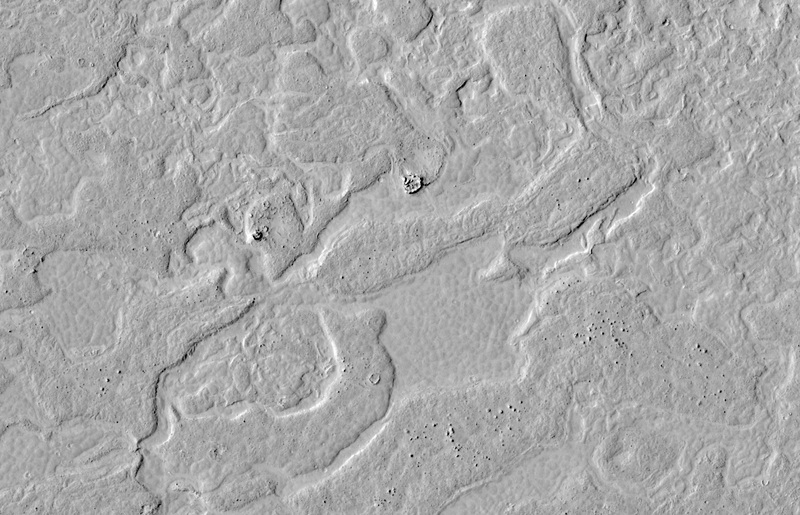 This image shows chaos terrain on Mars’ equator. 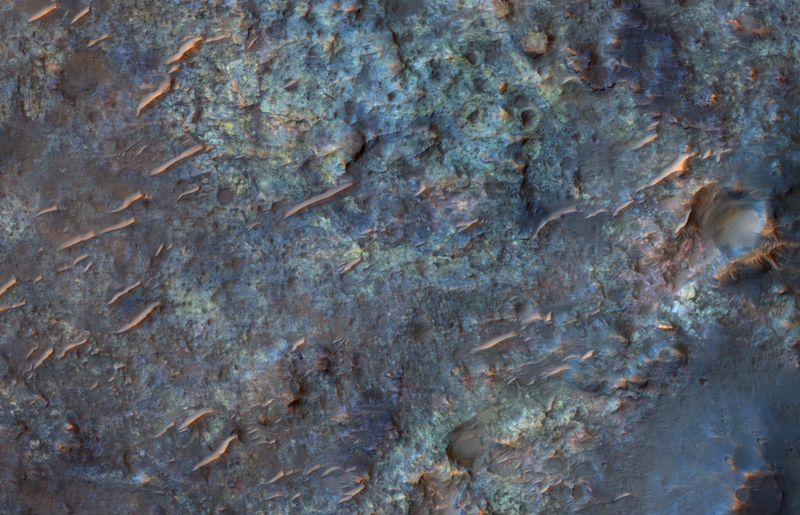 This image shows bedrock units with diverse colors indicating different mineral concentrations. 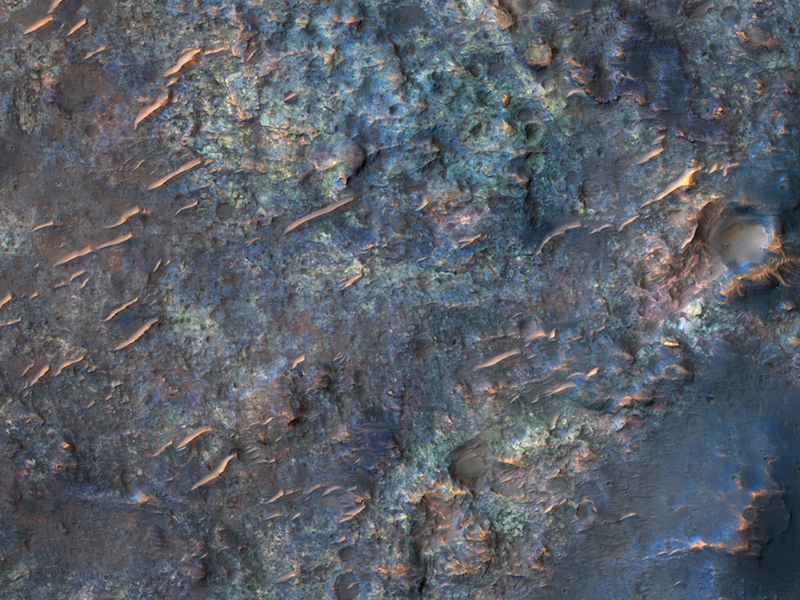 Note: HiRiSE has not been allowed to acquire off-nadir targeted observations for a couple of months due to MRO spacecraft issues, so many high-priority science objectives are on hold. 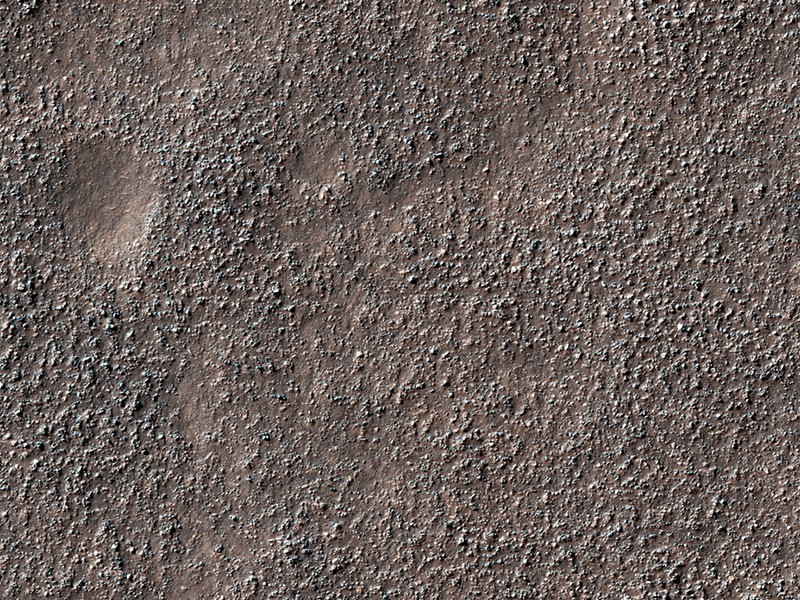 What can be usefully accomplished in nadir mode is sampling of various terrains. 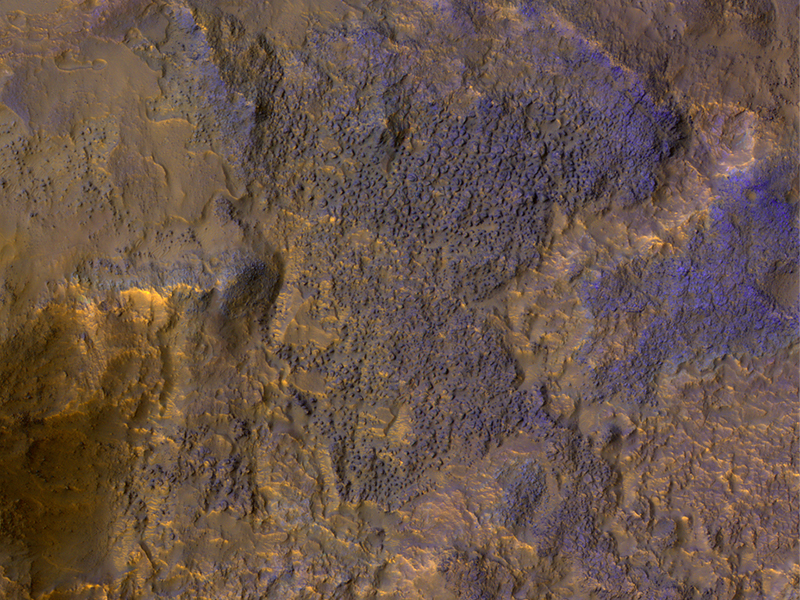 Especially interesting are bedrock exposures, which provide information about the geologic history of Mars.